Read our latest article on how Warranty Life is the only alternative to SquareTrade. Warranty Life is pleased to announce the appointment of Don Dodge to the companies advisory board. His wealth of experience will be extremely valuable as Warranty Life prepares for several large retail launches to help consumers manage and protect their purchases. Don’s addition to the Warranty Life team will help provide guidance in how to best penetrate the web space, acquire users, maneuver the technology and use web marketing to increase the sales of extended warranties in the retail market. Don has extensive contacts and is an expert at all things technology. Currently a Developer Advocate at Google, Don helps developers build new applications on Google platforms and technologies. He is often considered one of the faces of Google. 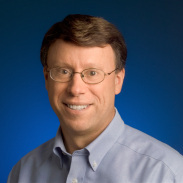 Prior to joining Google Don was a startup evangelist at Microsoft. Don is also a veteran of five start-ups including Forte Software, AltaVista, Napster, Bowstreet, and Groove Networks.